We customize your maintenance schedule around your vehicle and driving needs. An oil change is a common but important maintenance service. Motor oil protects your engine from damage causing friction and heat. In addition to providing lubrication to your engine’s moving parts, it also collects contaminates and debris which are passed to the oil filter. If engine oil is not routinely changed, you could be doing harm to your engine’s most critical moving parts. The more miles you put on your motor oil, the less effective it becomes at lubricating and trapping then transferring harmful deposits to the filter. This accumulation of contaminants will eventually overwhelm the oil and cause it to turn to sludge. This build up of sludge accelerates wear on the internal moving parts of your engine as well as reduces performance and fuel efficiency. Removing this gunk from your engine is an expensive task. The best thing you can do to prevent sludge, maintain peak engine performance and efficiency, is to routinely change your oil. Don’t risk damaging your engine. Instead, bring your car, truck, or SUV to Titan Auto & Tire in Chesterfield County for routine oil changes that help extend the life of your engine. Here at Titan Auto & Tire we know what’s best for your vehicle and driving habits. That’s why we use quality Synthetic Blend oil for Basic oil changes. Our Basic service includes up to 5 Quarts Synthetic Blend oil with a premium oil filter. We recommend that our Basic oil change service be performed between 3,000 and 5,000 miles depending on vehicle and driving habits. For higher mileage vehicles, or vehicles that operate under more harsh conditions, we recommend our Premium service. This includes BG CF5 additives that help clean deposits from your engine and BG MOA to help protect your engine against wear and reduce emissions. For luxury vehicles, those with turbocharged engines, or for owners that demand the absolute best for their vehicle, we suggest our Full Synthetic lube service. Fully synthetic motor oil maintains its viscosity in extreme cold and heat as well as a stronger resistance to thermal breakdown, oxidation, and the formation of sludge. Our Full Synthetic service is recommended every 8,000 to 10,000 miles depending on vehicle make and model. We carry several brands of fully synthetic oil to meet or exceed manufacturer recommended specifications. When your vehicle is due for its next oil change, bring it to Titan Auto & Tire. Our three levels of service are designed to meet the needs of all motorists. We have two convenient locations in Chesterfield County to serve you – South Chesterfield and Moseley. 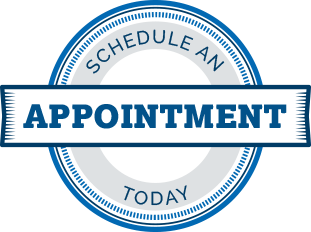 Give us a call, stop by, or use our online scheduling tool to make your next lube change appointment.